If you are planning to get an accessory for any occasion or event then be sure to definitely check this absolutely magnificent piece of handmade jewellery out. Your style is a reflection of your attitude and personality. Bracelets are one of the best go-to jewellery items when women want to look beautiful. One great benefit of bracelets online is that you can wear them anywhere you want from special occasions and events to simply wearing them daily. “Candy” bracelet make you look fantastic without the need of any effort. You can just simply wear it, and you are ready to go! You can now get yourself one of the best bracelets in terms of both looks and quality from us. You will not find any other marvellous bracelets anywhere else. This is a very unique design that you will rarely ever see anyone wearing them. One of the key factors that separate our bracelet “Candy” from the rest is that our bracelets are hand-crafted from the best quality materials available. Each tiny detail is put together by hand to ensure top-notch perfection. This bracelet is made from stunning superb quality Preciosa beads which are exclusively designed and manufactured in the Czech Republic. Some of the stones are even sprayed with 24 karat gold which makes the bracelet even more pragmatic looking. Apart from that, the bracelet is also put together using marvellous Toho seed beads from Japan that are cut with precision and are also considered one of the finest beads in the world. 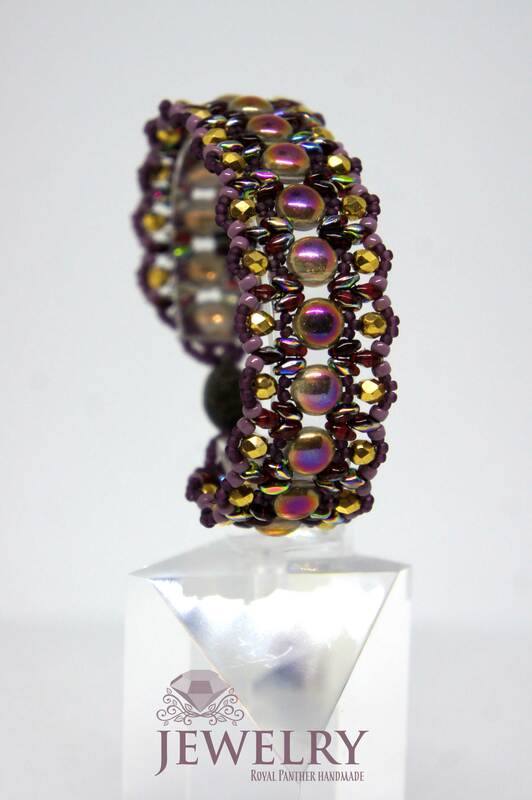 The flawless use of the Toho seed beads makes this bracelet very special. Also has a magnetic clasp so that you can wear the bracelet “Candy” and take them off with complete ease. The magnetic clasp provides a strong grip for an ideal snug fit. All these components put together form one of the most amazing and beautiful pieces of jewellery that you will ever see. The striking looks and stunning design can only be found in this bracelet and nowhere else! This bracelet is designed to perfectly match and look good with all types of clothing. Please read very interesting article Handmade beaded jewelry design ideas.